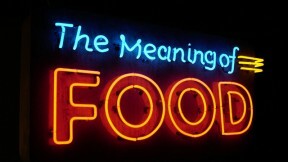 The Meaning of Food is a three-part limited documentary series that explores our relationships to food and reveals the connection food has to our identity: personal, cultural, and familial. Everything about eating—including what we consume, how we acquire it, who prepares it, who’s at the table, and who eats first—is a form of communication that is rich with meaning. Our attitudes, practices, and rituals surrounding food are a window into our most basic beliefs about our world and ourselves.